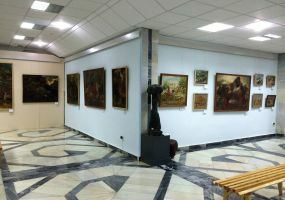 The museum, though, is small, but rich in its exhibits. Everyone can find there more than 90 thousand units, which had been collected by the creator of the museum, Igor Savitsky, for several years. The museum includes objects of drawing and painting, decorative and applied arts, as well as exhibits of material and artistic culture of Khorezm. 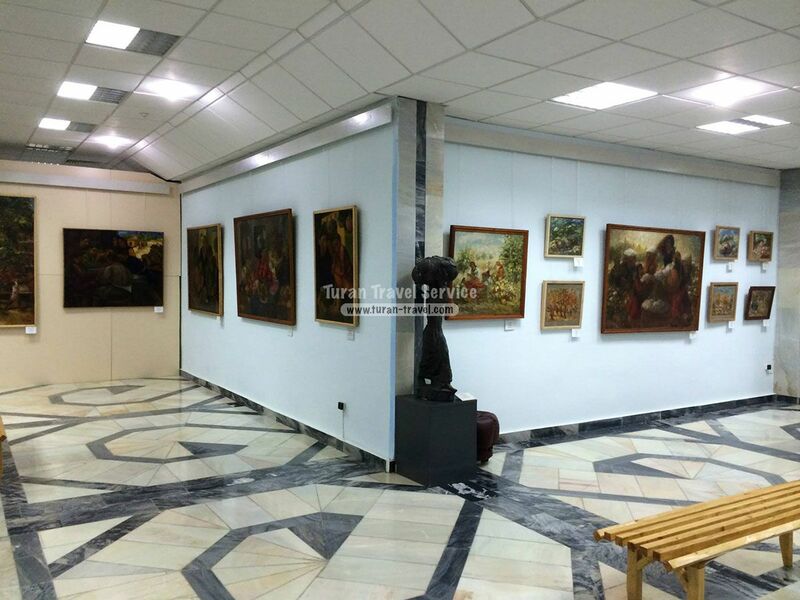 Also, it is no secret that the museum contains a unique collection of paintings by famous Russian avant-garde (the museum presents famous paintings such as "The Bull" E.Lysenko symbol of the museum, "Chayhona" Volkov, "Yurt" B.Serekeev, K.N.Redko. "By the Sea" K.N.Istomin. "Moscow landscape" and others. ), which fascinates many people. Everyone discovers something new, learns more and more about those times, about the life and culture of the people of Karakalpakstan. We invite you to plunge into history with us and see why this museum is called "one of the best museums in the world." Arriving in Tashkent and meeting with a tour assistant. Transfer to the hotel. Dinner and overnight at the hotel. 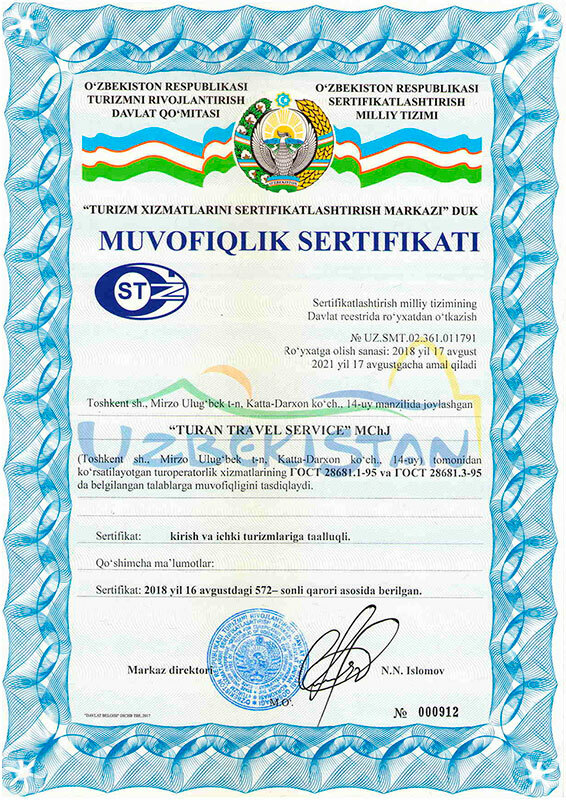 Transfer to the Tashkent Airport for the flight to Nukus. A full day visit to the Savitskiy Karaqalpak State Art Museum with an important collection of Russian and Uzbek avant-garde pictures, unquestionably one of the most beautiful museums of the country and the whole Central Asia. 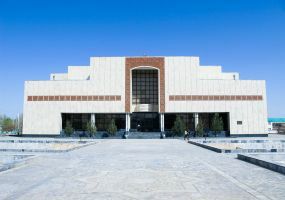 The State Museum presents a rich collection of traditional jewelry, typical national clothes and musical instruments. In the afternoon continuing visiting the remains supposed to be of Mizdakhan (IV B.C. ), a big commercial city extant till today. 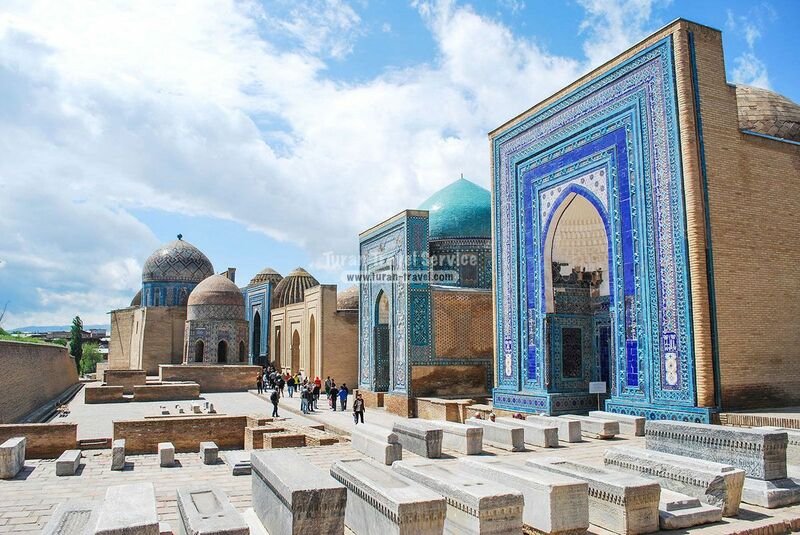 A sacred place with tombs, mosques and madrassahs of the XI century. The Mazlum Khan Slu Mausoleum (XII), the inscriptions on the Gyaur Qalq Fortress (IV B.C.). 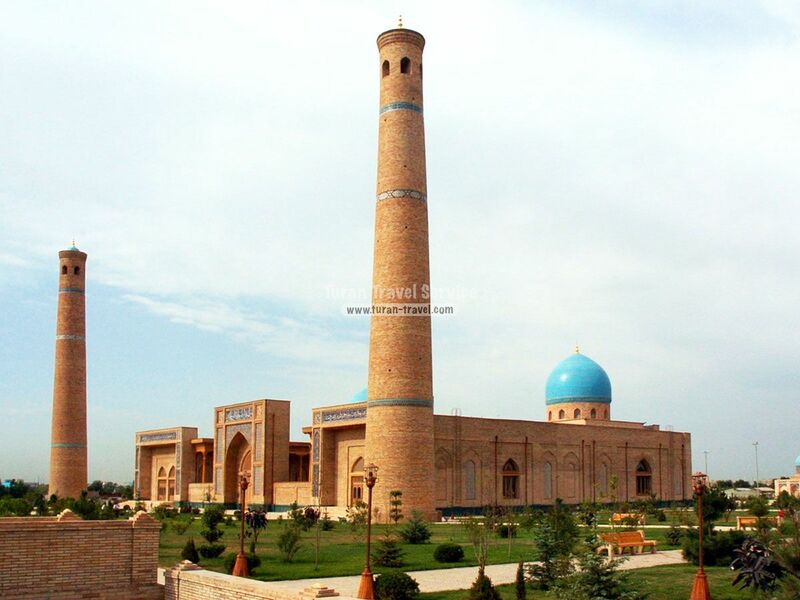 A full day tour of Khiva, the most ancient and conserved city on the “silk road”. Visiting the Mohammed Amin Khan Madrassah, the largest one of the city, the Kelle Minor Minaret, commissioned by khan in XIX and planned to be the highest one in the Islamic world (84m) but after his death the construction was quitted at the height of 28m; the ancient Kuhna Ark fortress built in the XII century and then extended during the XVII century, there are a harem, a mint, a stable, an arsenal, a summer mosque; the Mausoleum of Pakhlavan Mahmud, the patron saint of Khiva. Lunch at a private house. Visiting the Islam Khoja Madrassah and Minaret, the most recent monument of Khiva; the Juma Mosque, interesting for its 213 wood columns (3,15m high); the Tosh Howli (“Stone House”); the Allah Kuli Khan Madrassah, Bazaar and Caravanserai. Breakfast at the hotel early in the morning. 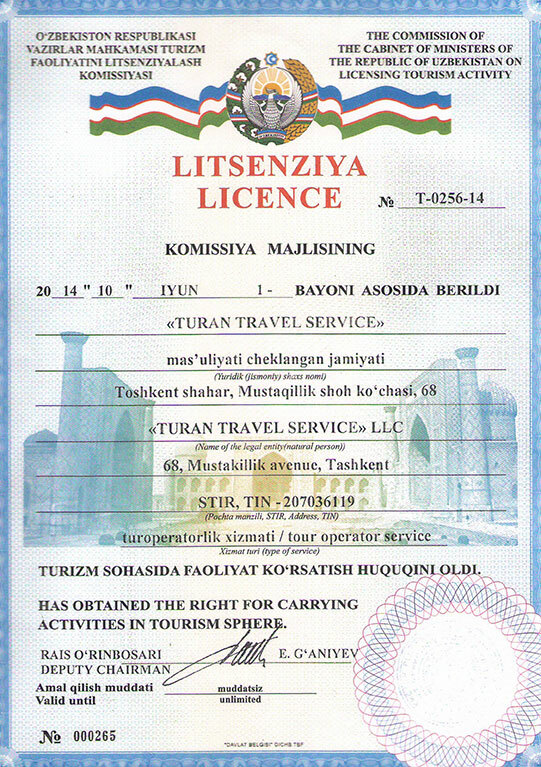 Leaving for Bukhara in a tourist bus through the Kyzyl-Kum Desert. Arriving in the noon. Lunch at the hotel. Free time for recreation. A full day of city sightseeing. Visiting the Poi-Kalon Complex, the square separating the Mir-I-Arab Madrassah and the Kalon Mosque; the Kalon Minaret (“grand” from Tajik), one of the Bukhara’s symbols of 47m high (XII), three bazaars - Taqi Zargaron, Taqi Telpak Furushon and Taqi Sarrafon, the Magok-I-Atori Mosque, the remains of a Buddhism monastery, a temple and a mosque, the Nadir Divanbegi Madrassah, built in XVII, the Kukeldash Madrassah, one of the greatest Islamic schools of Central Asia. In the afternoon visiting the Ark Fortress, a city-in-city, as ancient as Bukhara itself, having served as the residence of Bukhara’s rulers for a millennium; the Bolo Hauz Mosque, the Ismail Samani Mausoleum (IX-X), one of the most stylish constructions of Central Asia. In the morning visiting the religious complex where the Naqshbandi Mausoleum, the necropolis of Samarkand and Bukhara rulers and noble men are; visiting mosques, the madrassah and the minaret. Visiting the summer residence of Said Alim Khan, the last emir of Bukhara, the Sitora-I-Mokhi Khossa Palace and the entrance of the Chor Minor Madrassah. Lunch at a restaurant. Free time for recreation in the afternoon. Leaving for Shakhrisabz in a tourist bus. 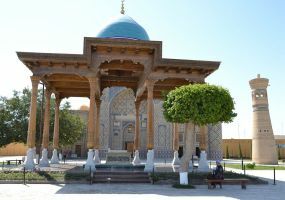 Arriving and visiting Ak-Saray Palace, the summer residence of Tamerlan (XIV), the Kok Gumbaz Cathedral, the mosque built by Ulugbek in honor of his father (XV), the meditation house and in the end the Crypt of Temur. 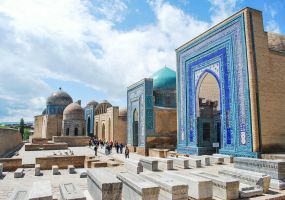 Moving to Samarkand. Arrival and hotel accommodation. A full day of city sightseeing. Visiting the Ulugbek Observatory (XV), where the remains of grand astrolabe for observation of star position and the Afrasiab ruins with the museum are; the necropolis of Samarkand rulers and noble men, the Shakhi Zinda, the Bibi Khanym Mosque (XV) and the Siab Bazaar. In the afternoon continuing sightseeing. 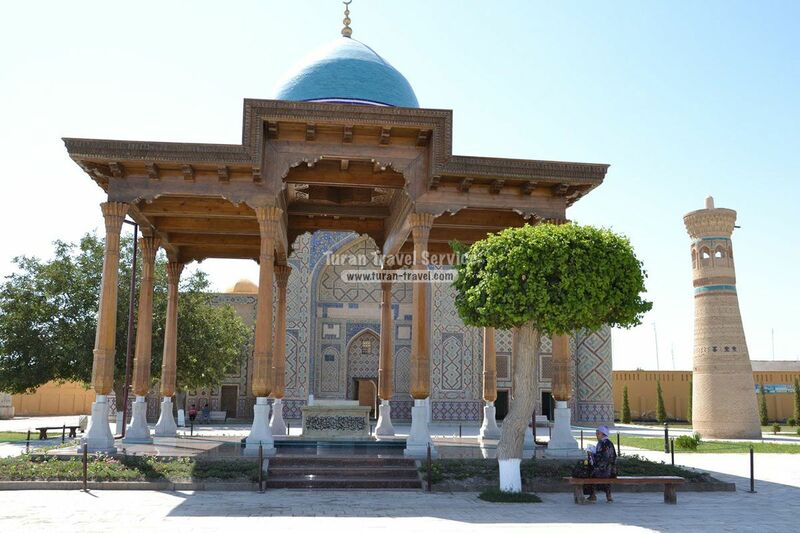 Visiting the Gur Emir (“Tomb of Emir” from tajik), the Mausoleum of Temur and his descendants (XV), Registan Square. Visiting the private fabric, the only one in Central Asia producing silk paper. In the afternoon visiting the religious complex of Al-Bukhari, the biggest traditionist of the whole Islam world. Leaving for Tashkent in a tourist bus. City sightseeing: visiting Amir Temur Square, Independence Square, the Alisher Navoi Theater, completed in 1947 by Japanese prisoners, the Museum of Applied Arts. Farewell dinner and overnight at the hotel.